I’ve long been an admirer of Leslie Connor, an award-winning middle-grade author whose characters have always stayed with me after reading the last page of the book. Her latest, The Truth According to Mason Buttle, is no exception. It’s a finalist in the National Book Award for Young People’s Literature, and I think deserves to win. (I’m prejudiced because I loved it.) The results will be announced on Wednesday, November 14, and I’m keeping my fingers crossed. The character of Mason is unique in juvenile fiction, as far as I know, and yet he’s someone recognizable to all of us. Read on to find out more. GC: You’ve written many middle-grade novels. For this one, which came first – the character, Mason Buttle, or the plot idea? LC: My stories generally start with a situation—an element of nonfiction, such as a news report, or an event I have observed or read about. My imagination does a lot of work on that seed idea, bending it this way and that. If it’s a story-worthy idea, a character shows up—usually in my ear—and I go from there. In truth, that character has often already been kicking around the attic of my brain for quite a while. I’ve heard it said that character is plot. I have to agree; I never know either plot or character completely until I bring them together. GC: You’ve captured Mason’s voice in an extraordinary and highly readable way. Do you know someone with these kind of learning difficulties, and characteristics (honesty, emotional synesthesia) or did Mason appear fully-formed from your imagination? LC: Thank you! Mason is definitely a composite. I’ve always been able to pick out the kid in a classroom who is having a different experience from their peers. I know about some learning disabilities firsthand, but synesthesia was new to me. When I saw Mason Buttle in my mind’s eye, I knew what he was experiencing but I had to do some research to diagnose him. GC: How would you characterize the main themes of the book? What would you like young people to take away from it? LC: This question is difficult for me to answer. I’m not thinking about themes when I’m writing. For me, the most prevalent character traits (always tied to theme, right?) that emerged here are: self-reliance and honesty. Takeaways from this read might include empathy, compassion, and an increased sense of self-worth. GC: For writers interested in writing for middle-grade – what makes an MG book different from a chapter book, YA novel, or an adult novel, for that matter? LC: Writers are creative beings and lines are blurred, when it comes to formats. For instance, we see novels in verse and graphic novels for both the YA and MG audiences. So what separates them? For me, the single most important determinant of genre lies in the level of self and social awareness of the main character—no matter the age, no matter the topic. GC: Your last two books have had a boy as the main protagonist. Are you planning anything with a girl as the featured character? LC: Yes! I was surprised to be writing from a young male point of view, but the characters came to me an authentic way, and so far, I haven’t heard that they don’t work! (I chalk that up to having grown up between two brothers and having raised two sons.) My latest book (under contract) features a female protagonist, and in fact, there are very few males in this new story. YOu can find Leslie on Twitter, Goodreads, Facebook, and Instagram. We had another wonderful get-together on Wednesday – thanks so much to all of you who came and contributed so much to help your fellow-writers. May-Lou Weisman is starting her Introductory Non-fiction Writing Workshop at the Westport Library on Feb 4 for six sessions. We talked about Duotrope – a real time-saver for those of use looking to submit our work somewhere. It lists all the available publications and you can filter them by genre, submission dates, likelihood of publication (easier to most difficult to be get in). For children’s book writers among us, here is Gail Gaulthier’s Calendar of Children’s book author events, which includes author appearances, workshops, conferences etc. Here’s the calendar I mentioned this morning: http://blog.gailgauthier.com/search/label/CCLC-Connecticut%20Children’s%20Lit%20Calendar This link looks weird, so if it doesn’t work go to Gail Gauthier‘s blog and look on the left for the calendar. One of these is the Big Sur Conference Cape Cod, which takes place in May this year. Gwen Hernandez, Scrivener maven extraordinaire, is beginning a new season of classes at the end of the month. Fantastic value at $25, they break the learning process down into very manageable daily chunks. Great as a refresher, or for beginners. Sandra Beckwith, of Build Book Buzz, a book marketer in Long Island, has a free webinar series on web marketing you can sign up for, beginning very soon. Check it out here. A number of or authors use video book trailers to promote their books, a tool that seems to be on the rise. E.J. Simon has three books with trailers out, and Leslie Chess Feller has had several videos made of the poems in her book, Monster in My Lunchbox. She used Rozanne Gates to make them. Please contact me or her if you’d like to connect with Rozanne, who’s in Westport, CT. And here’s an article about the importance of book trailers for self-published authors. Larry Brooks at Storyfix.com is running a free 10-part crash course on Story, which is his specialty. He has a way of looking at a plot and finding the holes or excesses in it, which is very clear and easy to apply to your own work. You can sign up for a series of emails which explain it all. Hope you find this useful! 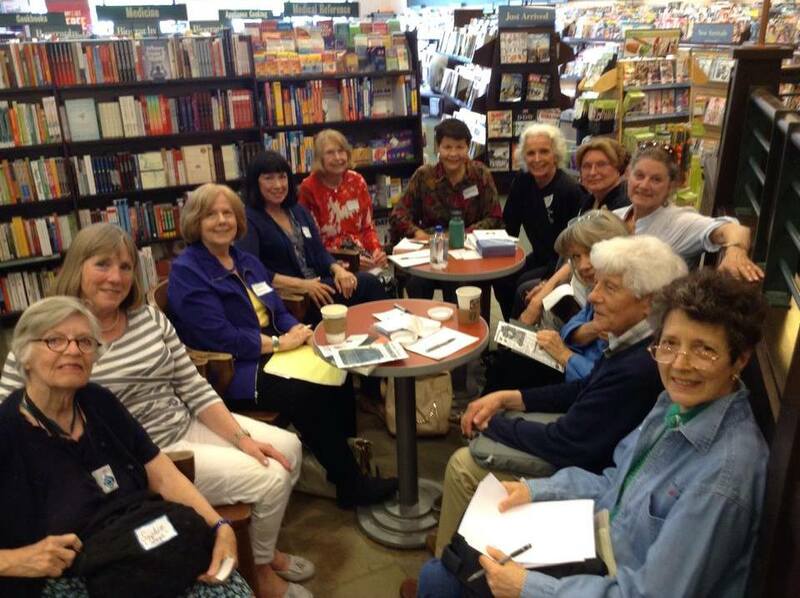 Our end-of-year meeting of the Westport Writers’ Rendezvous was a surprise and delight to me. A surprise, because there were 26 of us there, and I hadn’t expected so many with the holidays looming, and delight because we broke our own record. We held the meeting at the newly established Fairfield County Writers’ Studio, where Tessa MGovern and Carol Dannhauser made us feel very welcome. Check out the courses the offer here. They begin in January and there’s something for everyone. Tessa sent me the link for a Scrivener video tutorial. I’ll post the class schedule for Gwen Hernandez’ Scrivener classes next month. They begin at the end of January. Gotham Writers Workshop, the New York-based writing school, is now offering one-on-one classes online. You can get professional feedback on a particular project (book, short story, screenplay, poetry) or long-term mentorship. You can also take a private 3-hour class or a private 6 or 10-week course tailored to your interests and needs. There are private grammar sessions, help with applying for an MFA and help launching a blog, among other things. I imagine it’s fairly pricey, but if this is what you need, go for it. Here are some websites which might be useful to you. I found them courtesy of Larry Brooks, who runs Storyfix, a website and critiquing website. He has a special offer on right now for critiquing your novel ($1300 – a great value, I think, especially if it helps you find plot holes or areas you need to work on). He’s not an editor per se, but he does have a good grasp of how a story should be put together. This blog post came from Robert Morris, a guest blogger and freelance editor in NYC. You can follow him on Google+. I’m reproducing most of it here, since he wrote it so well. You are torturing yourself to remember a word you have in the back of your mind, but you just can’t spit it out? You need this reverse dictionary. Just describe the concept of the word you’re looking for, and you’ll get an entire list to choose from. The word you’re looking for is definitely in there. You would have to invest a lot of money to hire a long-term editor you would work exclusively with. These editors usually work with published writers and charge amounts that newbies are unable to spend. That’s why you have NinjaEssays on your side! This is an online editing service that evaluates your projects and assigns a perfectly suitable editor for an affordable price. 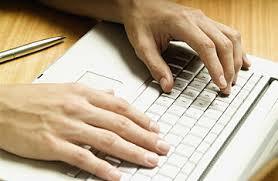 Plus, you can collaborate with professional writers, who can help you improve some aspects of your content! You are already determined to become a professional writer? Then you need to become part of Reedsy – an online community that connects authors with great editors, designers, and marketers for their books. You can create an author profile for free, upload a portfolio, and start building connections. If you still haven’t discovered a publisher for your first draft, Reedsy will direct you on the right way. Think about the greatest sin a writer can commit. Of course it’s plagiarism! You want to produce absolutely unique content with no signs of copying, paraphrasing, rewriting, and other dishonest strategies. PlagTracker checks your content and provides a detailed report about any plagiarism involved in it. If you accidentally got too inspired by an online resource and you forgot to provide proper citations, PlagTracker will help you fix the damage before it’s too late. Daily writing exercises are necessary for your progress. Buffalo enables you to write every day and publish your random thoughts online. It’s a supportive community that’s clean and extremely functional. All you need to do is join and start writing on any topics you have in mind. A friend sent me this information about the Society of Children’s Book Writers and Illustrators’ conference, which I thought might interest some of you: https://www.scbwi.org/events/17th-annual-scbwi-winter-conference-in-new-york-ny16/. It will be held in New York on February 12-14 next year, and includes participation from many agents and editors, as well as authors. We ended the meeting as we always do, by telling each other what we planned to do before the next meeting (January 20th). With holidays interfering, we tried to keep the goals modest and achievable. Here’s to 2016! 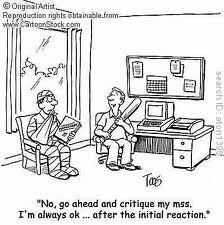 Writing critiques – necessary evil, or wonderful energisers? For some reason, the subject of writing groups has been surfacing around me over the last month or so. I belong to two different groups, and people I meet have been asking me about how they work. So I brought up the subject at the Writers’ Rendezvous (an informal monthly meeting of local writers, see photo) and asked for input. So far, I have come across four different types of group. I thought I’d list them here and get your input, too. Please comment to let me know which kind of group you think works best. One writer talked about a group she used to attend in New York, which she had found very effective. That one allowed people to read their work, and to hear the group’s response, but there were 20 writers in it. Obviously, this meant that not everyone could be heard each week. Another person currently facilitates a group in Trumbull, CT, (about 20 minutes away from me) which has eight participants. Even here, because of the numbers, while the critiquing sounds as though it’s thorough, writers only have a chance to be critiqued four times a year. The Fairfield Public Library hosts several weekly writing groups, and there’s always a waiting list of people wanting to join. (I may still be on that list, but after a two or three years waiting, a place hasn’t become available yet…) One of our Writers’ Rendezvous participants runs such a group. It has eight members, not all of whom are present every week. The focus is on reading a suggested five double-spaced pages aloud (roughly 1500 words) as others read along on copies of the work. Then the work is critiqued by the group. The aim is not to repeat a critique if someone else has already made the same observation. The group does not distribute work ahead of time. One group I belong to has four members, and we send each other our work ahead of the fortnightly meeting (up to 10 pages, double spaced). Then we bring our critiques to the meeting. This seems to work well, and produces in-depth critiquing, which is very valuable. But, of course, the number of participants needs to be limited, or the amount of ‘homework’ before each meeting would be too onerous. I belong to a second group, with three people, where we don’t see each other’s work ahead of time, but read it aloud (up to 10 pages at the weekly meeting) and critique it on the fly. This tends to make for broad-brush critiquing, particularly if a person reads well. I often think people are bamboozled by my English accent into thinking my writing is better than it is. Meaning, I suppose, that I don’t get as much critiquing in this group as I think I need. On the other hand, I do have to show up each week. If a member is away, unless they’re totally beyond reach, she phones or Skypes in, so as not to miss a meeting. 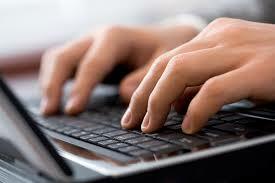 I have heard of, but don’t know anyone who’s tried it, online writing critique groups. I’m not sure exactly what the guidelines are, but I think they must be a boon for writers who can’t reach a group in person. They may also have the benefit of having your work read by a person who doesn’t know you and therefore has no idea what you’re trying to convey, except through your writing. There’s one more idea you might want to consider. Adele Annesi, one of the editors of NowWhat? Creative Writers’ Guide told us at the Writers’ Salon at Fairfield Library a few days ago that she has a writing buddy with whom she meets regularly. They meet at a local coffee shop and then sit there and write for a while, before looking at each other’s work. So that’s yet one more type of writing partnership. For me, the value in critique groups is two-fold: I get (and, hopefully, give) constructive feedback and, more important, I have to write in order to bring something to the group. This is an enormous plus for a procrastinator like me. There are things to bear in mind if you’re thinking of starting or joining a group. I think groups like this work best if the participants are writing in a similar genre. It needn’t be all fiction, or all memoir, but I think a group specifically for writers of poetry or children’s books would be more useful than a mixed one. What do you think? 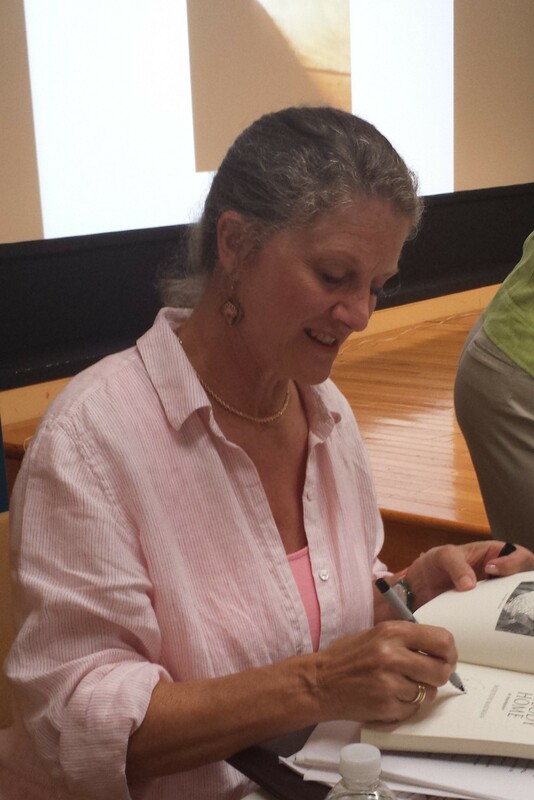 We’re very lucky here in Fairfield County, Connecticut, because we get a constant stream of authors willing to visit and share their wisdom. I’m not saying that selling some books has nothing to do with it, but I’m often impressed by how willing they are to discuss their writing process, how they found an agent, etc. So I’ve decided to begin recording some of them, and asking for a piece of advice about writing. The first up is Jacqueline Masumian, a local writer, whose memoir, Nobody Home, has garnered critical praise. I loved her book; it’s a charming memoir. From her childhood in Ohio, to her life as a landscape architect, via acting, singing and market research, she takes the reader through a vivid journey. The memoir tries to make sense of her distant mother and a father who left the family when she was a child. Attempting to understand one’s family is something I suspect most of us do. Jacqueline has made it possible for us to understand hers in a very readable way. The best advice I could give would be to share your work with a group of other memoir writers; a workshop setting gives you deadlines, forcing you to write every day, and provides very valuable feedback on your writing. Groups in which you read out loud to the other writers provide a special advantage, because reading your work aloud alerts you to any awkward sentences or incomplete thoughts you may have overlooked. I could not have written my book without the many thoughtful comments of my workshop friends. A writing partner does help maintain deadlines that you don’t otherwise have. But the other part of the equation is that a writing partner makes you accountable. The two combined are what makes writing with a partner the most productive. If you are showing each other your work, each person knows, whether you share via email or in person, that you either did the work or you did not. There is neither honor system nor wiggle room around this fact. You assign your writing partner, for example, “email me 500 words by midnight tonight” and either you have an email with 500 words from them, or you don’t. Accountability. Or, you tell your writing partner: “I have the goal of doing x, and will email you the first draft by Y (date and time) and either you do it, and they get it, with a thumbs up, kudos or comments (depends on your relationship) or you don’t, and you get the “Where is it?” In that case, you may be running late, or something happens in life, and you can share that event with them, and he or she will (hopefully) understand, and you move on from there. A writing partner is also allowed to ask you this question, “Why aren’t you getting the writing done?” It becomes a friendship situation sometimes. Writing can be solitary and our brains work a bit differently. So being able to talk about it with another writer is a great help. Sometimes this can get worked out over coffee, or in the case of RG and myself; we met in the bar at Grand Central Terminal, while we were both, coincidentally, heading for the same train. Then we discussed it on the train ride home. As a result of our agreement, I am now waiting for RG’s 500 words, emailed to me. He has a deadline and knows I am waiting for his words. Chances are good, he’ll do it now. He’s waiting for mine, too. He and I met through the Nanowrimo (National Novel Writing Month) group and ours is a writing relationship. It’s different from my writing relationship with Yvette, but that happens. Two people, two writers, work differently sometimes. “My West Coast writing partner Yvette and I contact each other via Facebook i.m. and agree that it is “time to set the rooster” that means the alarm on my phone, and I keep the time. We negotiate when and for what amount of time we write. We write in separate rooms, sometimes in different time zones, for the allotted amount of time. Although we can’t see each other writing, we believe that’s what we are doing then. The word count says it all. Either you have words down at the end of the time, when the “rooster” crows, or you don’t. The rest is the same accountability as with my East Coast writing partner. Since writing is a solitary event, we also make time to meet with each other, to have conversation as friends, and sit in the same room and write, when we are in the same vicinity. The overall goal is to support each others’ individual writing goals, and help guide each other to completion of individual projects, with support of another writer. I recommend making time to write, if only for a few minutes, each time writers get together. That way, we are alleviating procrastination and promote word count completion. We are also building writing connections and friendships. Maria Popova of the online magazine Brain Pickings Weekly, is a wonderful source for all things of interest to writers. This recent post of hers, The Year’s Best Books on Writing and Creativity is self-explanatory. She gives excerpts for the books, and comments on why she’s chosen them. The books include Why We Write, edited by Meredith Maran, Odd Type Writers, by Celia Blue Johnson, and Still Writing by Dani Shapiro, to name but three of the eight she’s chosen. Enjoy! My friend Drew Lamm is a Canadian author who has published several works of fiction including a YA novel, Bittersweet, a short story called Stay True in an anthology of the same name, four nonfiction picture books with The Smithsonian and four with NYC publishers. Her poems have appeared in various anthologies. She’s been running workshops for women writers for over 10 years in Fairfield County, CT, and having met some of the participants, I wanted to know what made these workshops so unusual. I asked Drew how her workshops differ from others available in Fairfield County and New York. DL: These workshops are a party where spirits are fed, souls watered. I don’t mean to sound cute, but it’s difficult to explain why women keep coming back, some for over ten years. I fashion something essential here, around creating and community – something most of us are starving for. 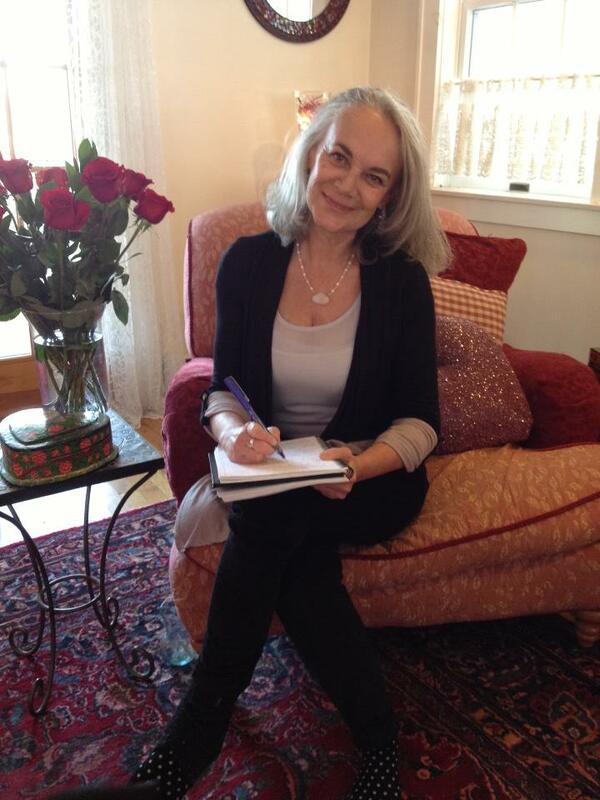 I offer a safe, supportive, vital place where women discover the poetic/meaning in their lives through writing. I help refresh their true voices and vital spirit. Their stunning writing often feels more like a bonus, rather than the main fare. And yet, whether non writers up through experts, they become brilliant at writing easily and naturally. GC: Tea and chocolate seem to play an important role in your workshops. Why is that? DL: ‘A teapot can represent at the same time the comforts of solitude and the pleasures of company.’ (Anon.) The custom of serving tea is ancient, refined and welcoming. In this harried world, we don’t often pause in our racing to sit down and sip tea together. And chocolate, well, it’s chocolate! Who doesn’t need to be offered a plate heaped with chocolates on a regular basis? GC: Do you teach a specific method of writing? DL: I teach organically, so no and yes. This is nothing like school, nothing academic. We’re all natural writers and I discover the truth of this in every workshop. 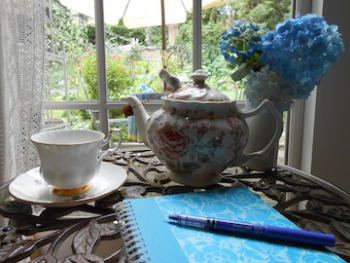 Last weekend I hosted a Tea and Writing Party, welcoming in seven women I didn’t know, who don’t write. They balanced their tea cups looking a tad nervous and off we went. By the end of two hours each one had strong, vivid writing where there was once an empty page. I teach to write visually and through the senses and I craft prompts that get at this easily. Concrete images are simple, effective and pull treasure to the surface that surprises and delights the writer and then the reader. GC: How do you critique your writers? DL: I zero in on specifically what works and only what works. When you understand what works, you and your writing deepens. These pieces are new-born babies and I celebrate this, by pointing out what shines. Each person’s writing hones and turns to gold with this process. GC: What do you think your participants find most useful about your workshops? DL: Women find the parts of themselves they love, emerging. We are creators. We need to create whether it’s art, music, a garden, a loaf of bread…this is what happens here. I watch women arrive with tense faces and see them leave open, beautiful and looking younger. This is what occurs when our true voice emerges, when we’re seen, heard and celebrated. It’s essential. These workshops aren’t hobbies for these women, but something vital in their lives. And mine too. GC: How often do you run these workshops? DL: Once a week for two hours for twelve weeks. The winter session will begin Jan. 8th and 9th. I have five groups a week. Wed. 10 – noon, 1-3pm and 7-9pm and Thurs. 10 – noon and an advanced group 1-3pm. There’ll be a Women Who Taste Life Twice evening here in Rowayton, CT, on Dec. 5th, from 7-8.57pm, where women will read short pieces they’ve written and an Irish storyteller will tell a tale. Any women who might be interested in my workshops or who’d love to come listen in, to take a taste of this sweet and spicy community are welcome to come sip and listen. If you’d like directions or to be on Drew’s mailing list, send her an email. Warning: the following may be hazardous to your writing habits. We aspiring writers who live in Fairfield County, Connecticut, are fortunate. With the center of publishing only 50 miles away in Manhattan; with vibrant public libraries and their energetic events coordinators in almost every community; with fine chain and independent bookstores within easy driving distance; and with several universities featuring creative writing programs and commitments to cultural outreach close by, we have a steady schedule of author appearances to attend for education and inspiration. As I reported in my previous post, for example, bestselling writers Dennis Lehane and Peter Abrahams shared their wisdom with us in person less than 24 hours apart. Like Western pioneers on the Santa Fe Trail arriving at Bent’s Fort, authors on the book-tour trail find our area a welcoming stopover. But what if you cannot get to an author talk? Or if you live in a place far from that book-tour trail? How can you sit face-to-face with a National Book Award winner, a Pulitzer Prize winner, a bestselling crime writer, a unique-voiced memoirist? That’s why the Internet and YouTube were invented, of course. A caveat: I have watched only a few of these. Thus, I cannot promise you they all impart ready-to-use writing advice. Nor can I promise that these are the best available videos of each writer. My purpose is simply to show that, if you are looking for inspiring sights and sounds from one of your favorites, you may be able to find it. So here’s the list, in alphabetical order, except for Ian McEwan in the anchor-leg spot, the reason for which will be apparent. • Michael Cunningham. The Pulitzer Prize winner for The Hours, from the fabled Iowa Writers’ Workshop. • Louise Erdrich. The new National Book Award for Fiction winner (The Road House) on Well Read. • Elizabeth Gilbert. Her famous 2009 lecture on creativity at the TED conference. • Mary Karr. The poet and memoirist (The Liar’s Club, et al.) from the Writer’s Symposium By The Sea at Point Loma Nazarene University. You can read the rest of the list here, and please add to it if you know of other writers offering tips on video or audio. As an Amazon affiliate, I receive a small commission on books purchased through this site.